Moniack Mhor writers have gone on to many great things. 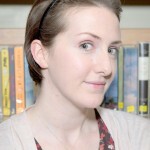 Sylivia Hehir – author of ‘Sea Change’ winner of the 2018 Pitlochry Prize. 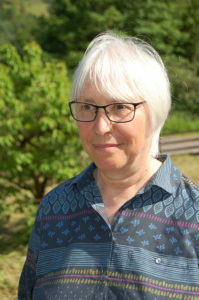 Sylvia Hehir lives and works in the west Highlands of Scotland writing contemporary fiction including young adult novels, short stories and drama scripts. Her debut YA thriller, ‘Sea Change’, published by Stirling Publishing, was the winner of the Pitlochry Prize in 2018 and was shortlisted in the Caledonia Novel Award. Her radio play, ‘One Last Push’, featuring Gary Lewis and Sharon Rooney, was broadcast by BBC Radio Scotland. She gained a doctorate in creative writing from University of Glasgow in 2018 and was a recipient of a New Writers Award for children’s fiction from the Scottish Book Trust. Her prizewinning short stories include: ‘A Time to Leave’, which was winner of the John Severn Inkwell, and ‘Oban – The Perfect Destination’, winner of the Tarbert Book Festival competition. She has appeared at literary festivals and creative writing conferences, including the National Association of Writers in Education conference where she presented finding from her PhD research in which she explored considerations when writing characters from under-represented communities. Sylvia loves being at Moniack Mhor and would be lost without the (frequent!) returns to her writing home. 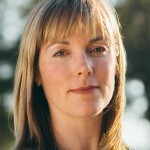 Merryn Glover was born in Kathmandu, brought up in Nepal, India and Pakistan, and went to university in Australia to train in education. 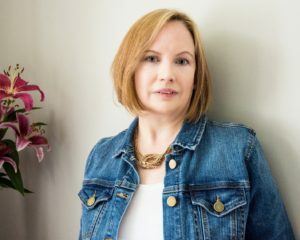 Working as a teacher, community artist and writer for over twenty years, her writing has won awards and been published in anthologies, magazines and newspapers. 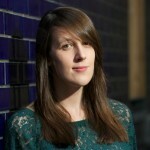 Also a playwright, her fiction and drama have been broadcast on Radio Scotland and Radio 4. ‘A House Called Askival’, set in India and spanning 70 years of its recent history, is her first novel and she is currently working on a second, set in Scotland. She lives in the Cairngorms National Park with her husband, two sons and a huge-hearted golden retriever. My two weeks at Moniack were a gift: the time to write, the shared experiences with other writers, the inspirational tutors, the cooking and eating together, the view of wild weather and rainbows from my window, the tales and laughter by the fire, the generosity, the encouragement. Both weeks spurred me on and gave me the belief that not only could I do this writing thing, but that I had to. Aoife Lyall is originally from Dublin and now lives in the Scottish Highlands. Since beginning to write early last year, Aoife has been published in The Irish Times, and online magazine One, as well as recieving a commendation in the Neil Gunn competition and making the longlist for the International Welsh Poetry Competition. Most recently, Aoife has been shortlisted for the Hennessy New Irish Writing Awards, the winners of which will be revealed on 28th April, 2016. Born in Falkirk, Karyn Dougan has performed her work across the UK, sharing the stage with some of her literary heroes (such as Janice Galloway and Liz Lochhead) and has taken her work to Europe, performing in Italy and France. She has written for The List, The Skinny and The Bear, and has worked in almost every section of the book industry – as a proofreader, editor, reviewer and bookseller. A graduate of Stirling University, she now lives in Glasgow and is known for being “the cheerleader of Scottish literature”. She likes to think her occasional Twitter addiction helps her to be a better writer. As a result of the course, M argaret’s short story, ‘Still Life’ was runner-up at the Bloody Scotland short story competition and was broadcast on Radio 4 in February 2016 as part of their ’emerging voices’ series. And last year, her debut novel, ‘Shadow Man’, won the Orion/Good Housekeeping First Novel competition and will be published on 2nd November. It’s set in Inverness and is the first in a planned series featuring ex-Met DI Lukas Mahler. If you have been on a course and gone on to win a prize, get published or write a bestseller, we would love to hear from you! Email info@moniackmhor.org.uk with details.